the luse-o'hara foundation Climbed mount kilimanjaro in september 2014 to honor our fathers and to raise money for the ronald mcdonald house of the twin cities. we set a goal to raise $35,000 for the house on oak street as it was the 35th year of the house. we surpassed our goal and 100% of the proceeds Went toward re-building the play area and courtyard which launched in 2016.
also, in 2016, we announced the launch of our second fundraising project with camp odayin which provides camp experiences for children with heart disease. We plan to run pikes peak ascent and marathon in august 2017 to raise money for nature education programs for the children of camp odayin. with the design and landscape architecture expertise from lacy shelby, we spent 2015 seeing every dollar raised go to building a new play area and courtyard at the house on oak street in minneapolis. this new outdoor space for the children and families at rmh became a reality in june 2016. we feel so honored to have this be our first project as a foundation. in august 2016, we announced our second project in partnership with camp odayin. camp odayin provides camp experiences throughout the year for kids with heart disease. camp odayin continues to grow and as part of that growth, our foundation partnered to raise money to fund the launch of a nature education program and unique outdoor experiences for the campers. we are capping off our fundraising summer 2017 as we plan to run pikes peak in colorado in honor of all the kids and their families of camp odayin. Learning links’ mission is to create a place where anyone can learn and enjoy the sport of golf regardless of ability, skill or age. This fully accessible golf course will be available to the public in 2021. our foundation has started to fund a scholarship for children with life threatening illnesses to be able to access the course and take lessons throughout the summer Months. 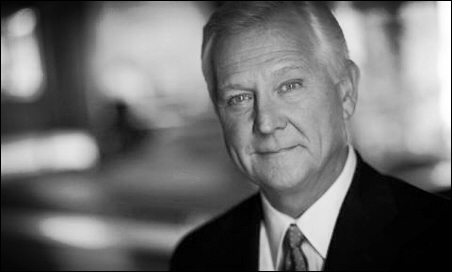 don shelby is best known as the former award-winning news anchor of WCCO-TV. don shelby is also an avid mountain climber and major supporter of the ronald mcdonald house of the twin cities. he led the original group of climbers up the mountain in 1998. and he Has been our Foundation's biggest supporter. to support the luse-o'hara foundation in this effort, please click here to be directed to our online giving page.